The Australian Federal Police and their Dutch counterparts believe that the Dutch Safety Board has failed to provide "conclusive evidence" of what type of weapons destroyed Malaysian Airlines flight MH17 and who could have been responsible for the catastrophe, Moscow-based Australian journalist John Helmer notes. 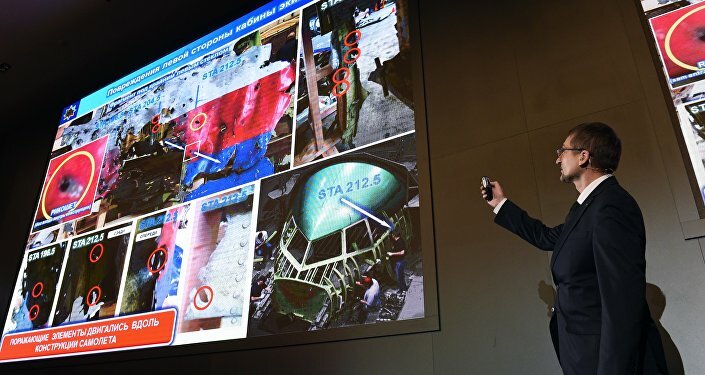 The criminal investigation into the crash of the notorious Malaysian Airlines MH17 on July 17, 2014 in eastern Ukraine requires a "tougher standard than the DSB [Dutch Safety Board] report", Moscow-based Australian journalist John Helmer reports, citing Detective Superintendent Andrew Donoghoe, the senior Australian policeman in the international MH17 investigation. "Testifying for the first time in an international court, Detective Superintendent Andrew Donoghoe, the senior Australian policeman in the international MH17 investigation, said a 'tougher standard than the DSB report' is required before the criminal investigation can identify the weapon which brought the aircraft down, or pinpoint the perpetrators," Helmer writes on his personal blog. Donoghoe and other international investigators called attention to the fact that the claim made by the US and Ukrainian governments as well as the DSB that the passenger aircraft was downed by a Buk missile doesn't sounds convincing enough. Quoting Donoghoe, John Helmer notes that the initial information that MH17 was shot down by a Buk surface to air missile does not meet "the Australian or international standard of evidence." "The Coroners Court in Melbourne is the first in the world to hold an inquest into the MH17 crash on July 17, 2014, and the cause of death of those on board," the Australian journalist underscores. Helmer points out that it has been revealed for the first time that the Australian government had "quietly" negotiated two agreements in order to ensure security and order at the crash site: one was concluded with the Ukrainian government in Kiev; the other with the Donbass independence supporters. The journalist draws attention to the fact that this de-facto political recognition of the self-proclaimed Ukrainian republics by Australian officials has never been acknowledged before. Another curious fact emerged during Donoghoe's testimony: the international investigators had had "no ability to collect aircraft parts or other debris." According to the Detective Superintendent, the forensic examination of the aircraft began only in May 2015, Helmer remarks. 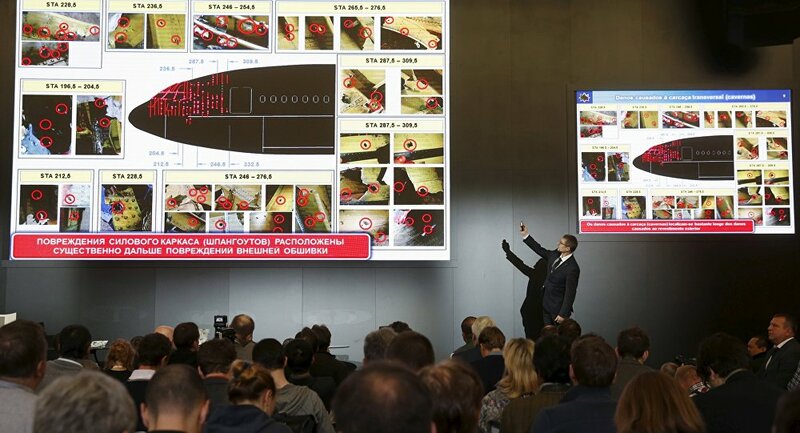 Furthermore, after Kiev had provided the DSB with less than half the fuselage fragments, it turned out that they included "some fragments not consistent with debris of the aircraft," the Australian journalist emphasizes referring to Donoghoe's testimony. "Asked whether there had been any evidence of disrespect towards the victims' bodies on the ground — as has been claimed in reporting by the Murdoch media — Donoghoe testified: 'there was no evidence of disrespect towards the bodies'," Helmer continues. The journalist also notes that potential Ukrainian witnesses on the ground refused to take part in the investigation, unless the Australian and Dutch police protected them in "a safe location," kept their identities secret and "excluded Ukrainian government officials." Malaysian Flight MH17 crashed on July 17, 2014 after being downed en route to Kuala Lumpur from Amsterdam, claiming the lives of 298 people. The Dutch Safety Board initiated the international investigation into the incident, since most of the victims were Dutch citizens. According to the DSB official report, "the crash of flight MH17 on July 17, 2014 was caused by the detonation of a 9N314M-type warhead launched from the eastern part of Ukraine using a Buk missile system."